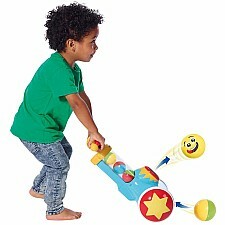 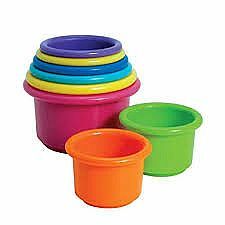 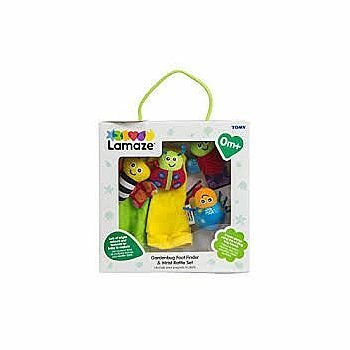 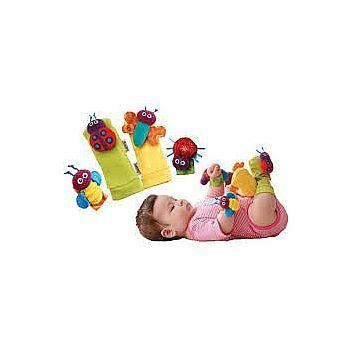 Bright colors and contrasts and gentle rattles and crinkles will help your baby develop all their senses. 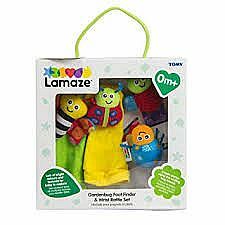 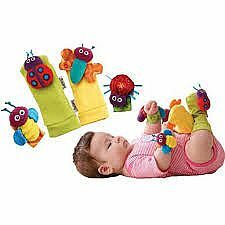 This gift set includes two rattle socks and two wrist rattles on velco-style straps decorated with friendly bugs and butterflies. 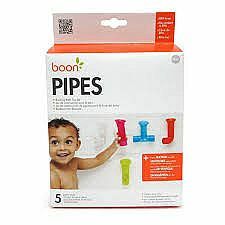 Safe for all ages from birth.